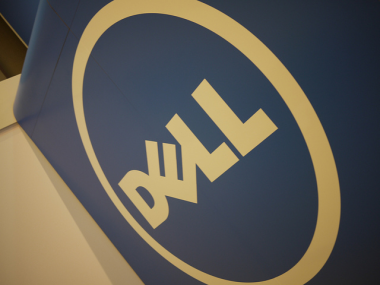 Print : Is the Dell Buyout Really a Good Idea? Is the Dell Buyout Really a Good Idea? So what do Michael Dell and Silver Lake Partners see that the public market investors do not? That’s the question that hangs over the $24.4 billion buyout of Dell Inc. shareholders announced this morning. As the company’s share price has fallen by half since 2007 amid a PC market that has contracted, and as Dell’s efforts to reinvent itself as a supplier of technology products to large companies has yielded uneven results, it’s not readily apparent what makes this a good buyout. Even Dell executives concede that the reinvention of Dell is taking longer than had been expected. In a brief interview with The Wall Street Journal, CFO Brian Gladden said management recognizes that “it will take more time” to get the job done. Being private, the thinking goes, without the pressures of delivering on quarterly results to finicky shareholders, will make the job easier. According to people familiar with the company’s intentions, the plan is, well, to stick to the plan. Dell’s long history of being the PC supplier of choice to many small, medium and large corporations puts it in a strong position to pivot toward supplying a wider portfolio of corporate IT products and services. The plan, these people say, is to continue that transformation into a company that can offer a full suite of corporate IT products, including PCs, servers, security, cloud computing, software and services. That process of evolution has been unfolding for some time, and has been expressed primarily through Dell’s aggressive pace of acquisitions. Since 2008, it has spent about $13 billion buying companies like Quest Software, Wyse Technology, Compellent and SecureWorks in order to build a business composed of high-margin products and services and offset declines in the PC business. Shareholders haven’t responded well, reasoning that Dell’s continuing exposure to PCs and PC-related businesses, which account for about 70 percent of sales, outweighs the growth potential of the enterprise-focused businesses. The rationale behind the buyout, say people familiar with specifics of the deal, is that Dell is, despite the contraction of its PC business, undervalued. One key part of the plan, these people say, calls for Dell to remain opportunistic in its pace of acquisitions. While the buyout does have the company incurring debt, Dell as a private company will have sufficient resources to continue to make acquisitions. The plan also calls for Dell to invest and try to improve its competitive stance in the PC industry by fighting back against competitors like Hewlett-Packard, Apple, Acer and Lenovo to retake some of its lost market share. In the most recent rankings by market research firm Gartner, Dell ranked third, behind HP and Lenovo, with 10.7 percent share of the market in 2012. The voices of criticism emerged quickly. Within hours of the buyout news, HP pounced with a statement aimed at attracting the attention of Dell’s customers. Others see it is a logical next step for Dell. ISI analyst Brian Marshall, in a note to clients, said the deal makes sense, given Dell’s relatively low valuation before deal talks were reported and the longer-term multi-year nature of the planned turnaround. “Public markets may not allow for the optimal focus on long-term strategic decisions or efficiently value new enterprise-oriented assets,” Marshall wrote. Some will argue that the buyers aren’t offering enough. Indeed, lawyers representing shareholders have already filed lawsuits arguing the price is too low. At $13.65 a share, the price is a 25.5 percent premium over Dell’s closing share price on Jan. 11, the day before first reports about buyout talks emerged. Early speculation in subsequent published reports suggested that the purchase price might go as high as $15 a share, a price Marshall suggests some shareholders might consider more reasonable. Marshall argues that some shareholders might resist a buyout at any level below $15, but with no likely bidders to emerge during the 45-day go-shop period, that resistance won’t amount to much. The deal’s defenders will point out that the premium represents a 54 percent premium over Dell’s share price on Nov. 15, when it last reported quarterly earnings, results that fell short of expectations. On that basis, the buyout of Dell seems an audacious bet. But is it a good one? Not if you assume the company is going to continue to shrink. But there are bright spots. In the last quarter, sales of servers and networking gear grew by 11 percent year on year, while enterprise IT services shrank by 1 percent, suggesting there is hope that over the long term the transformation strategy can work. Now it will be on Michael Dell and his co-investors at Silver Lake to make it happen. If it doesn’t, they’ll have only themselves to answer to. Return to: Is the Dell Buyout Really a Good Idea?